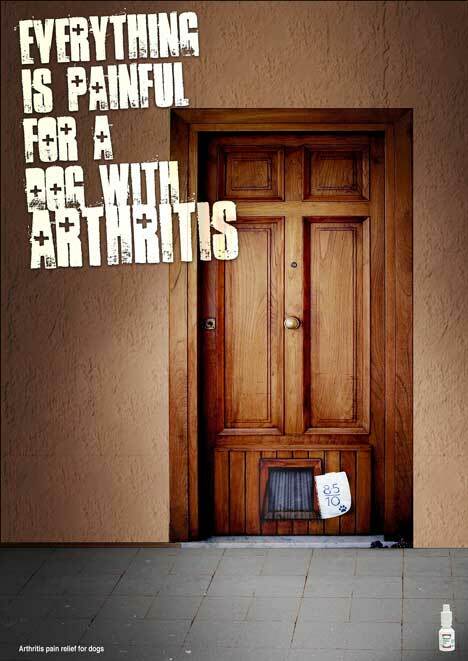 Everything is painful for dogs with arthritis. That’s the message in a print advertising campaign for Metacam, the brand name for the drug Meloxicam intended for veterinary use, marketed by Boehringer-Ingelheim Vetmedica. 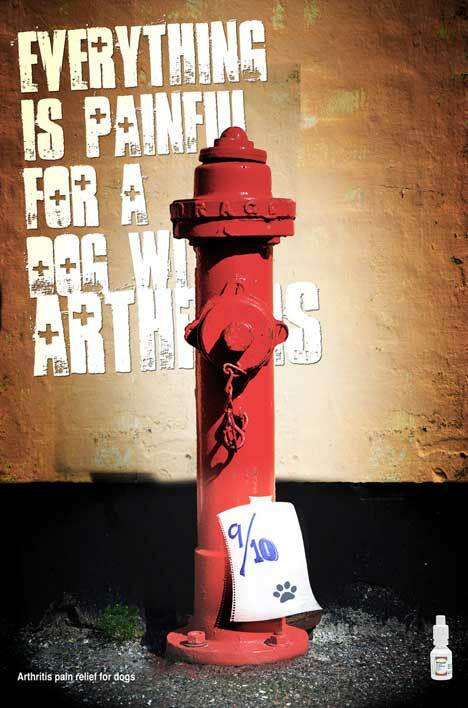 A pet door and a fire hydrant become sources of frustration for disabled dogs. The Metacam campaign in Australia was designed by The Affinity Partnership, Australia, by creative director/copywriter Vanessa Reynolds, art director/illustrator Andres Fabian, with stock photography from stock.xchng.